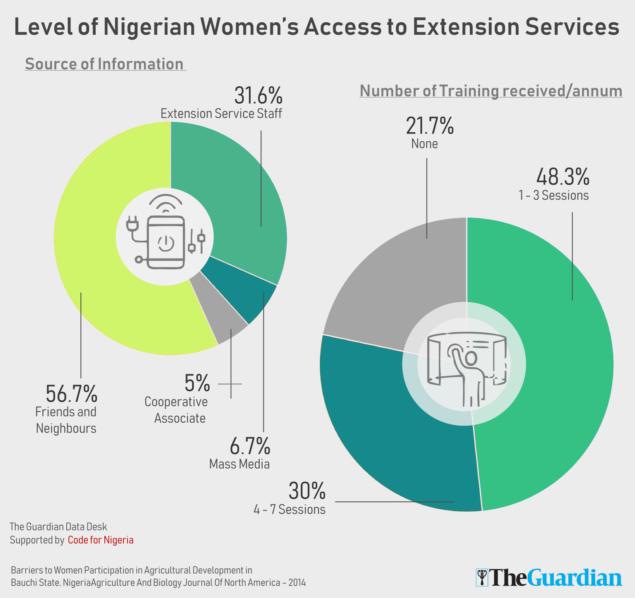 When Nigeria’s Agriculture and Rural Development, Minister Audu Ogbeh launched the National Gender Action Plan (NGAP) on Agriculture in October, the idea was to upgrade women from the realm of subsistence farming to medium scale and commercial farming. The figures provided by the minister at the launch showed that Nigeria has 95% subsistence farmers, 50% of whom are women. 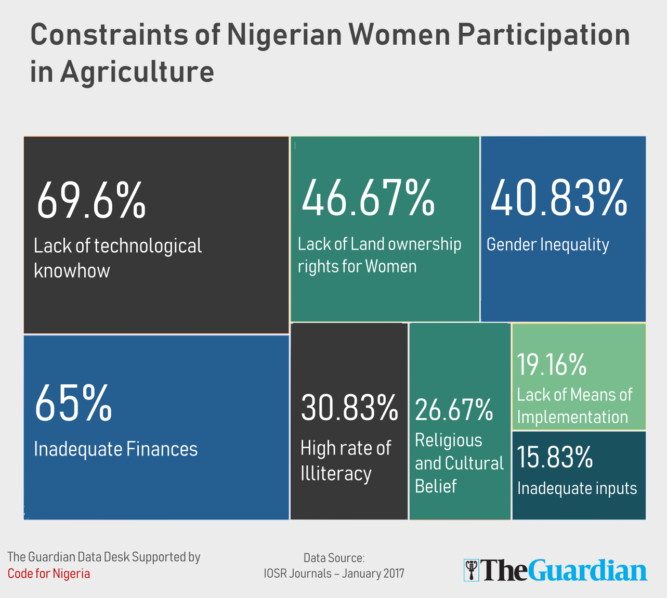 Beyond this, women farmers in Nigeria have to contend with unequal access to land, insecurity, cultural practices and pseudo-religion dogmas. “Despite the huge labour investment of women, productivity is low and they often have limited roles in decision making on the farms. Lack of ownership of land and other productive assets due to existing social norms has created a significant negative impact on the family income and the nation’s GDP at large,’’ said Nigeria Country Director, African Development Bank, Mr Ousmane Dore. Some of the major constraints to women in Agriculture include lack of funding, lack of access to government support, agricultural loans and grants and especially limited access to land. Women are estimated to own less than 10% of farmland, which is abysmal because land ownership influences capital and labour. 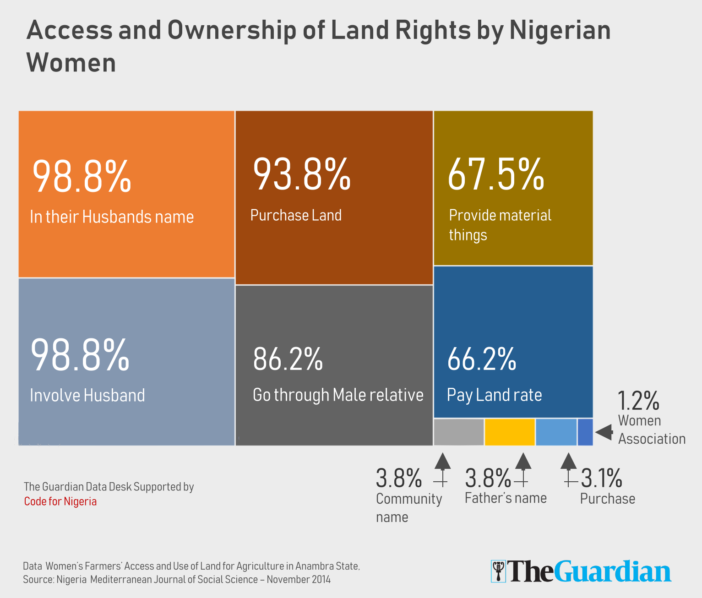 Land ownership by women in our society is restricted because of cultural beliefs, therefore decreasing their turnover rate in the agricultural sector of the economy. Furthermore, a large number of women are not educated and consequently do not have the basic knowledge required to access the plethora of foreign grants at their disposal. “Many women farmers lack education and experience of how the agricultural business is growing and evolving. A lot of them are not even aware of the technological changes disrupting the industry” said Mrs. Amede Olisa-Achingla, CEO Bosaz Foods. Director of Extension service in the Federal Ministry of Agriculture Mrs. Karima. Babaginda stated that the National Gender Plan on Agriculture (NGAP), is a framework for positive action which aims to ensure that current sector policies yield concrete results each year. It also aims to outline rural programmes and actions required for maximizing the potentials of many farmers including women practitioners in agriculture. But women farmers say that they don’t receive any form of support from the government, especially extension services from the Ministry of Agriculture. “The responsibility of the Extension service workers is to inspect the farms, farm inputs such as fertilizers, and ensure that crops are not infected,” said Ms Yinka Alabi, a vegetable farmer. The Pan African Rural Women Assembly had also challenged Heads of States in the Economic Community of West African State (ECOWAS) to take action regarding the issue of women land rights in all the countries in the sub-region. The women farmers stated that if land rights of women are not implemented, eradicating poverty from Africa would be an elusive dream. Lack of access to land for women farmers is not just a Nigerian issue, it spans across Africa. Women in the Beti of Southern Cameroon, cannot inherit land. They are given food plots by their husbands but they are not permitted to plant cash crops. In Zambia, if a woman’s marital relationship is dissolved the land reverts to the lineage and she has only a limited claim on the land. Many women do not have access to land due to local customs and lack of education act as barriers even in countries such Ethiopia, Botswana which have reformed their land programmes to embrace more women. “Despite the significant contribution of women to agriculture, less than 20 percent of women farmers own their own land. 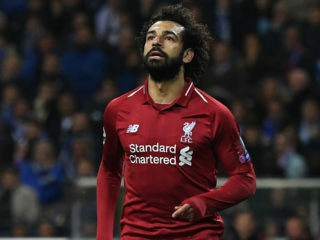 We are the first victims of land and related natural resources grabbing, all these threaten the capacity of communities to meet the whole challenges agricultural and food systems,” said the Chairperson of the group, Mrs Nnnena Ejim.